North Carolina is an amazing place full of opportunities to learn more about the state we live in. The weekend after this coming weekend, May 17 – 19, is no exception, with 2 great festivals celebrating North Carolina’s heritage and creative artists. Artsplosure is an annual arts festival being held in downtown Raleigh May 17 – 19th. Celebrating excellence in performance and visual arts, Artsplosure aims to bring recognition to national, regional, and local artists. Featuring an art market with numerous vendors, live music both days, Squonk Opera’s GO Roadshow (a carnivalesque music and art production), The Raleigh Street Piano Project, Kidsplosure with crafts and live performances, and the always-crowded live sand sculpting, Artsplosure highlights the plethora of creative talent in this region. The event is free and open to all ages – visit their website to find out specific performance schedules and artists who will be featured. In addition to the abundance of creative professionals in North Carolina, it is a state well-known for its agricultural heritage and Got to Be NC highlights many long-standing traditions, from tractor pulls to a pet and horse show to an antique farm equipment and classic car exhibit. The event, also happening May 17 – 19, features newer unique traditions like the Carolina Rollergirls, the original flat track derby association league of Raleigh, NC. Besides the great events and exhibits, the NC Food, Wine, and Beer expo will be sampling and selling delicious flavors from around NC. Admission to the Festival is free and open to all ages, with some fees for individual events such as the expo. 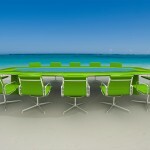 Virtual Office Solutions: Helping You Maintain Your Focus What type of office space is right for my business?